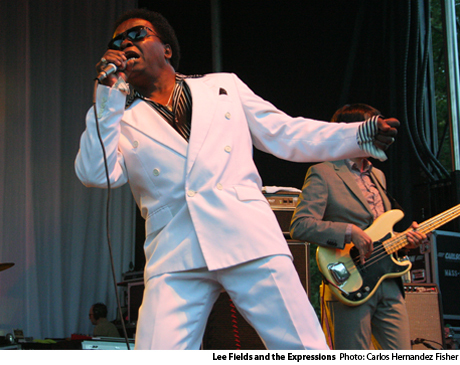 Still blazing a soulful trail behind his 2012 LP Faithful Man , Lee Fields and his backup band the Expressions have announced another batch of dates to take them through North America. Fields has a few West Coast dates to get through this month, but he and the band will be back on the road by mid-October for a month-long trek. This includes Canadian stops at Toronto's Phoenix Concert Theatre on October 31 and at Waterloo's Starlight venue the next night. You'll find all of the tour details down below. In addition to Faithful Man, Fields is also supporting a recent double-LP re-release of his 1979 album, Let's Talk It Over through Truth and Soul Records. The new deluxe edition includes the original album, some singles, and comes packaged with new artwork and photos.